Although tinting is a great way to block heat from getting into the building and to protect the windows, it can eventually wear out. The film can become damaged over time and may need to be replaced. One important thing to note before trying to remove window tint is that ammonia should be used with great caution. Ammonia is unhealthy for the user, bad for the windows, and the fumes can harm electronics and furniture. Therefore, make sure to always use ammonia in a well-ventilated space. Before the film can be removed, the adhesive (i.e., the sticky stuff that makes it stay on the windows) must be taken off. Use a soapy solution mixed with ammonia to remove the adhesive. Put it in a spray bottle and continue to spray the film. This may take several hours so be patient. Alternatively, steam can be used. By the time the adhesive is dissolved, the film will need to be pulled loose. This should be done during the day. The warmer the sun, the easier the film will detach. If the film is not coming loose easily, one trick is to use a blow dryer to get it to release from the window. Once the film is loose, it should be relatively easy to peel. Use a razor to scrape it away from the window. Sometimes the adhesive comes off easily and the film will peel in whole sheets. Other times the adhesive does not dissolve completely and the film will be more difficult to remove (or come off in little flakes). When this happens, it is usually best to apply more ammonia solution and use the blow dryer on it for longer. The most important part of removing window tinting film is patience. After removing the film, the window will need to be washed. Use ammonia to clean the window as it will remove any of the leftover adhesive or film bits left on the glass. 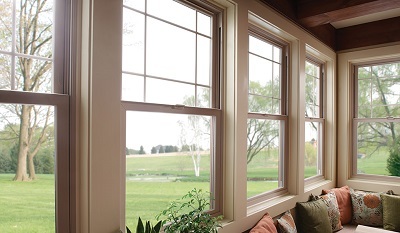 If you plan to put more tint on the window, be sure to clean it with a product that does not contain ammonia. If there is any ammonia left on the window, it could keep the adhesive of the new film from sticking properly. Removing window tinting film is not an overly-complicated process, it just requires a bit of time and patience. If those are two things you do not have, then fill out a contact form at Pacific Window Tinting, and we’ll be over as soon as possible.